The May 4, 2018 windstorm in Toronto caused a lot of damage and some fatalities. Many peoples roofs had shingles blown off. Is this something that your home insurance policy would cover? This is a very good question as we received many phone calls immediately after the windstorm to see if the damage would be covered by home insurance. What does your home insurance cover? Home insurance generally covers damage caused by wind. So if the wind knocks down your house or tears off your whole roof, that is usually something that your home insurance policy insures. But what if just a few shingles are missing? 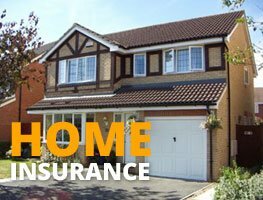 Most home insurance policies exclude damage caused by normal wear and tear of your home. It’s a homeowners responsibility to maintain his or her home. Just suppose the normal lifespan of a roof is 20 – 25 years, and the windstorm causes several of your shingles to blow off, it’s likely this may not be covered by your home insurance. Your insurance company may end up saying that the shingles blew off because they were due for normal replacement anyway. But what if you bought your house brand new from the builder and it’s only 1 to 2 years old. Would the missing shingles be covered by your home insurance ? Most home insurance policies also exclude damage caused by faulty workmanship. For example, if you are the original owner of your home purchased 1 1/2 years ago, the houses on your street were built by the same company, and almost every home is missing shingles, would this be covered by your home insurance ? The damage might possibly be due to the builders workmanship. New homeowners may be able to claim the cost of the repairs through the new home warranty program in Ontario by Tarion. So for windstorm damage to newer homes, we recommend you contact your builder or the Tarion new home warranty program before submitting a claim to your insurer. But let’s suppose your roof is between 5 to 15 years old, the damage may be covered through your homeowners insurance. Should you put the claim through your home insurance? It depends. In cases like this we suggest the homeowner get an estimate for the cost of repairs, as the cost of the repairs may be less than the deductible on your home insurance. 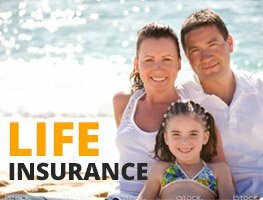 In addition, most home insurance companies provide a discount on your home insurance premiums if you have submitted no claims in the last few years. 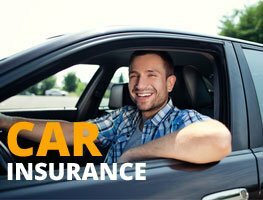 The discount will be removed and your future premiums will be higher if you report the claim to your insurer. in other words, the benefit of having the damage paid for and fixed by your home insurance company may be worthwhile. A friend of mine had some damage to his roof. The cost of repairing his roof and most of his neighbours is around $400, much less than the standard deductible of $1000. I think they will fix the damage themselves instead of going through the insurance. We suggest our policyholders consider using their home insurance for claims they cannot afford to pay for themselves. It’s human nature to look for somebody else to pay for damages when you have not done anything wrong, especially when you’ve been paying for home insurance for many years without submitting a claim. You may want to consider using your home insurance only for larger claims, when the damage exceed $5,000-$10,000.